Our selection of check folders features different sizes, colors, and even folders inscribed with the words "Thank You" to really leave your guests with a good impression. 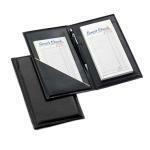 We have simple, elegant bi-fold options and some options with compartments on the inside to protect the customer&apos;s credit card or cash. 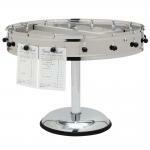 We also carry tip trays, check spindles, and order ticket bars and wheels for the ease of your kitchen staff. 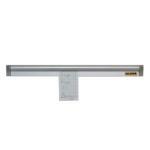 Purchase a sleek order ticket bar in stainless steel to keep the kitchen on top of order requests in style. Or maybe check out a check/order ticket wheel - these keep the customers&apos; order tickets organized and easy for your staff to keep track of, therefore securing your status as fine dining establishment and representing your restaurant with class. 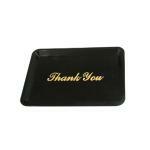 You can purchase a black tip tray with a gold, printed "Thank You" message on it to encourage your customers to tip your excellent wait staff or check out our stainless steel options! 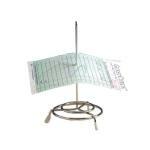 The opportunities are endless with our wide selection of high quality check- and ticket-handling products! With quality products from brands like Tablecraft Products, Update International and Risch, you are sure to find the perfect check and order accessories for your establishment. If you have any questions, please call us at 877-236-5780 or leave us a message in the chat box below.